"John Gherlein has earned an enormous amount of respect from clients and peers'... praising 'his thorough attention to detail and extensive knowledge.'" 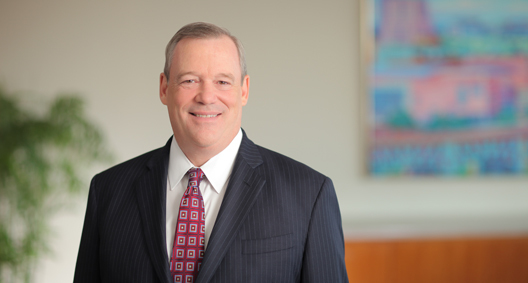 John Gherlein is a respected adviser to public and private companies. He leads significant M&A transactions; has extensive experience advising companies on debt and equity offerings, including IPOs; and counsels public companies regarding their disclosure and reporting obligations. John regularly advises boards of directors and their committees on corporate governance matters, including in special circumstances such as change of control settings and accounting inquiries. He has worked closely with the firm's White Collar Defense and Corporate Investigations team in Foreign Corrupt Practices Act issues, options dating, and other accounting inquiries. John is the firmwide chair of BakerHostetler's Business Group. He is ranked in Chambers USA: America’s Leading Lawyers for Business and is listed in The Best Lawyers in America©. Served as issuer's counsel to Bloomin' Brands Inc. in its $175 million initial public offering and more than $1.2 billion of secondary offerings. Represented TransDigm Group Inc. in more than 25 acquisitions and dispositions, including the acquisitions of Data Device Corp. for $1 billion, Young & Franklin Inc. for $260 million, Breeze-Eastern Corp. for $220 million via tender offer and merger, AmSafe Global Holdings Inc. for $750 million and McKechnie Aerospace for more than $1 billion. Represented long-time client Sandusky Newspapers Inc. in the sale of its 10-station Radio Division to Hubbard Radio. Represented the shareholders of United States Endoscopy in the $270 million sale of the company to STERIS. Represented Keithley Instruments Inc. (NYSE: KEI) in a sale process that culminated in the acquisition of the company by Danaher in a $300 million cash merger. Represented Envision Pharmaceutical Holdings Inc., a $3.5 billion pharmacy benefits management company, in its acquisition by TPG. Best Lawyers® 2016 "Lawyer of the Year"
Best Lawyers® 2017 "Lawyer of the Year"